Gerbsman Partners – http://gerbsmanpartners.com has been retained by Green Edge Technologies, Inc. (“Green Edge” or the “Company”)), to solicit interest for the acquisition of all or substantially all of Green Edge’s assets, including its Intellectual Property (“IP”), in whole or in part (collectively, the “Green Edge Assets”). The sale is being conducted with the cooperation of Green Edge. Green Edge and its founders will be available to assist purchasers with due diligence and assist with a prompt transition. The information contained in this memorandum relating to the Green Edge Assets has been supplied by third parties and obtained from a variety of sources. It has not been independently investigated or verified by Gerbsman Partners or their respective agents. Potential purchasers should not rely on any information contained in this memorandum or provided by Green Edge or Gerbsman Partners (or their respective directors, officers, staff, agents, and attorneys) in connection herewith, whether transmitted orally or in writing (the “information”), as a statement, opinion, or representation of fact. Interested parties should satisfy themselves through independent investigations as they or their legal and financial advisors see fit. The Company, Gerbsman Partners, and their respective directors, officers, staff, agents, and attorneys, (i) disclaim any and all implied warranties concerning the truth, accuracy, and completeness of any information provided in connection herewith and (ii) do not accept liability for the information, including that contained in this memorandum, whether that liability arises by reasons of Green Edge’s or Gerbsman Partners’ negligence or otherwise. Any sale of the Green Edge Assets will be made on an “as-is,” “where-is,” and “with all faults” basis, without any warranties, representations, or guarantees, either express or implied, of any kind, nature, or type whatsoever from, or on behalf of, Gerbsman Partners or Green Edge. Without limiting the generality of the foregoing, the Company, Gerbsman Partners, and their respective directors, officers, staff, agents, and attorneys, hereby expressly disclaim any and all implied warranties concerning the condition of the Green Edge Assets and any portions thereof, including, but not limited to, environmental conditions, compliance with any government regulations or requirements, the implied warranties of habitability, merchantability, or fitness for a particular purpose. This memorandum contains confidential information and is not to be supplied to any person without Green Edge’s or Gerbsman Partners’ prior consent. 1. Green Edge Technologies, Inc. was formed in 2012 to develop a disruptive smart home system that is universally affordable, extensible, wirelessly controlled, cost effective, secure, and easy to install and use. The Company raised $2.7m of capital from the founders and 8 outside investors. Leveraging more than 100 years of experience from wireless technology powerhouses including Motorola & Nokia, the Company’s experienced team produced 19 Patents (5 Patents issued and 14 Patent pending), Trademarks and Copyrights. 2. 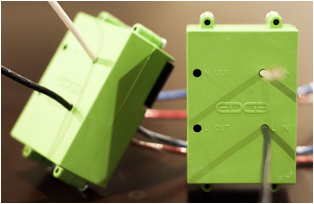 The Company initially focused on lighting, switches, and electrical outlet control and monitoring; the EDGEhome system is extensible to many household and commercial building systems and use cases beyond electricity. The system was built based on powerful, smart, yet low cost sensors and controls which enable household and building systems to have powerful and expansive measurement and control capabilities. Using this technology, residential or commercial/hospitality/industrial customers can not only enjoy savings, but piece-of-mind through automated and customized convenience and security features. The technology and end product potentially provides for healthy gross margins, due to low product cost product acquisition, installation and service cost, recurring revenue models based on demand-response, freemium and add-on features, and marketing of big data. The company initially chose to target new residential construction and electrical retrofit (such as solar installers) where standard electricians are already on-site, dramatically reducing installation cost. 3. The founders of Green Edge collectively have over 30 years of experience at Motorola, and were able to recruit and tap into a broad network of wireless and consumer products experts. The company’s wireless protocol, smart devices, gateway/hub, cloud service, and user interface were developed with the same consumer orientation, wireless technology expertise, and consumer products know-how that made Motorola the worldwide cell phone and smart phone powerhouse that it was during the 90’s and 2000’s. f. filed 19 innovative patent applications of which 5 have already issued or been approved for issue. 5. The company’s EDGEhome system consists of iOS and Android applications with user experience designed by the notable Magic+Might design firm in Chicago, a cloud service, an on-premises gateway/hub, a secure and robust wireless protocol, a low-power low-cost standalone transceiver/sensor/control module, and integrated wirelessly-communicating stylish smart electrical outlets and switches, and smart lighting control devices. This system is easily installed and configured by electricians, is robust and secure, and provides revolutionary sensing capability including room temperature sensing in every outlet, switch, and transceiver. 6. 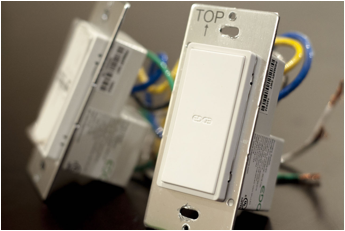 After achieving revenue in 2014 with its first-generation larger form factor products, the company developed its second-generation integrated outlets and switches during 2014 and was ready to ramp its second generation smart switches by late 2014 with UL approval in process for its second generation smart switches. In 4Q/2014 and 1Q/2015 the company was unable to secure the capital it needed to scale and in March 2015 the company’s Board of Directors decided to cease operations and seek a strategic partner or buyer for the company’s intellectual property and physical assets. EDGEhome operates in a high technology, competitive, and very innovative space. As such, EDGEhome has successfully created an intellectual property portfolio of high quality, defensible, and differentiating intellectual property in the form of patents and trademarks. In fact, the Company believes that its patent 8,957,551 covering electronic tamper resistance (shock prevention for electrical outlets) is already being infringed upon by a US company. EDGEhome’s intellectual property expert Bill Alberth was the second most patented person in Motorola history, and has over 140 patents issued. Under Bill’s leadership, the Company has enjoyed strong success with its patents including having its first patent issue in the USA within 14 months and enjoying multiple patents issue or being allowed for issue in the USA, with several office actions on others. All patent families are active. 1. 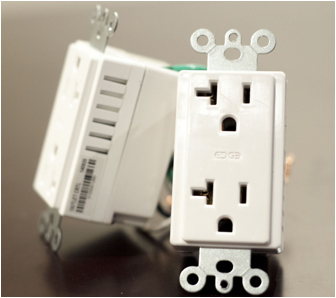 Patent 8,639,391 enables electrical outlets to detect what is plugged in and control it appropriately. This allows the outlet to only dim if something dimmable-safe is plugged in, for example. Any firm contemplating development of a smart controllable electrical outlet could well see offensive and defensive value from this patent. 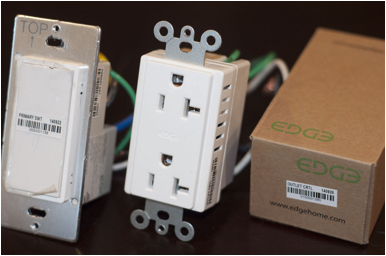 In the commercial, industrial, and hospitality space, this patent and EDGEhome’s smart outlets unique satisfy California Title-24 energy efficiency regulations that went into effect in summer 2014. These same regulations will gain significance nationally in the USA. 2. Patent 8,957,551 covers electronic tamper resistance. With tamper resistant electrical outlets being mandated in residences by the USA National Electric Code, and with child safety being a key consumer concern, this patent is likely to have significant offensive and defensive value in the future. Today, mechanical shutters serve to implement tamper resistance in electrical outlets, but they are large, they add cost, and they frustrate many users. 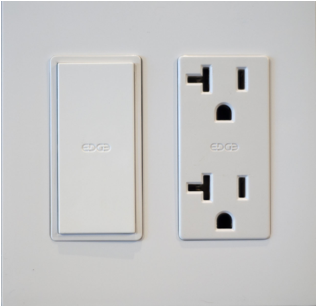 With smart outlets becoming commonplace over the next few years, electronic tamper resistance is predicted to become quite popular. 3. Allowed patent 13/766,123 patents methods that enable easy configuration and initialization of a smart home or smart building system. With ease of installation and use posing significant friction to adoption, this patent provides potential for a competitive advantage in the space. 4. Allowed patent 13/830,420 patents the ability for a switch to have different functionality based on household or user set conditions. Convenience and ease of use for consumers are keys for unlocking the mass market in smart home/smart building and IoT, and this patent enables unique features in that regard for smart electrical switches. Allowed design patent 14/302,141 enables an off the shelf Android Nexus 7 tablet to be used as a high gross margin wall-mounted tablet, using a beautiful and sleek bezel design. 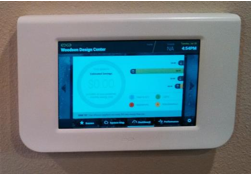 Using the bezel specified in this patent, consumers can enjoy the convenience of a sleek wall-mounted smart home/smart building control panel at a competitive retail price, while the company can enjoy high gross margins. A picture of the bezel is shown below. All of these patents are active with continuations open or in-process on issued and allowed patents. For consumers the EDGEhome system provides cost-effective peace-of-mind, convenience, and energy saving capabilities that are unmatched by any competitive offerings. This complete system is turnkey and is installed and configured by DIY consumers or by standard electricians. The easily installed and feature-rich system competes well with and exceeds the features of most competitive offerings. · Smart electrical devices with world-class energy monitoring, dimming capability, sensors (including room temperature at each device), and wireless control. Specific details regarding each of these devices, interfaces, and services are included in the attached sales letter. Scott is a seasoned international product development leader and wireless technology expert. With over 23 years of experience, Scott has a track record of innovation, recruiting world-class teams, delighting customers, and delivering game-changing products. As an entrepreneur, Scott founded EDGEhome (Green Edge Technologies, Inc), a smart home/Internet-of-Things (IoT) company and grew it from a powerful idea to an award-winning revenue-generating smart home system, grew the EDGEhome brand, developed business in multiple verticals, inked partnerships with electric utilities and Fortune-1000 companies, and ramped the product for volume manufacturing at the Tier-1 contract manufacturer in China. He took the elements that made smartphones a “must-have” item and applied them to the emerging smart home industry, giving consumers a turnkey system that is affordable, easy, and valuable to consumers. Prior to EDGEhome, Scott was Senior Vice President leading engineering, product management, information technology and quality issurance for Edgewave, a notable internet security products company. At Edgewave, Scott rationalized the product portfolio, drove significant quality improvements, shortened product development cycles, and created an innovation team to develop a new cloud-based SaaS product line. Scott’s 20 year career at Motorola began as a software engineer and ended as a Corporate Vice President leading Motorola’s $7b global smartphone and tablet portfolio. During his career Scott spent 4 years living in China & Korea and led over 1000 engineers developing dozens of smart phones, tablets, software features for customers worldwide, filed multiple wireless technology patent applications and had 4 patents issued, created industry-leading products including the first Android phone shipping China, Motorola’s first Wifi enabled phone, the RAZR family of products for Sprint, and Motorola’s first CDMA push-to-talk phone. Scott holds a Bachelor’s Degree in Electrical Engineering and an MBA in marketing from the University of Illinois @ Urbana/Champaign. He and his family live in Poway, California. Seang is an experienced product development executive specializing in embedded, user facing, and cloud applications and services. He has been developing software for 22 years, starting in industrial data acquisition products before moving to the defense and telecommunications industry. Seang joined Green Edge Technologies, Inc. as a founding board member primarily focused on software solutions, including the primary tablet interface, mobile clients, and cloud service. Seang is currently SVP, Software at Motorola Mobility where he leads development of software applications, experiences, and services. Prior to joining Motorola, he was GM, Mobile Development and Devices at Microsoft where he oversaw development of Lync and Skype applications for 200 million users across smartphones, tablets, Macs, consumer electronics, and wearables. Prior to joining Microsoft, Seang was Corporate Vice President and Chief Software Engineer at Motorola Mobility, where he led software development on numerous products, including the first 3G RAZR in North America, the first fully virtualized single processor Linux phone, and Motorola’s first Android phone. During this time, he also drove the advancement of Motorola’s open source and Linux efforts, evolving the UX, software development, test, build, and release process for modern smartphone platforms. He also drove the concept and development of Motorola’s context aware engine and Webtop application, further reinforcing his reputation as one of their top software leaders and visionaries. Earlier in his career, Seang developed avionics software for the F-22 Raptor and Cubic Defense System’s MILES tactical training system. Seang has a B.S. in Computer Engineering from the University of California, San Diego and PLDA from Harvard Business School in Boston, MA. Seang lives with his family in Los Altos, CA. With more than 155 patents issued or pending, Bill is a leading innovator in the wireless communications field. He has over 25 years of experience in digital communications, RF systems engineering, digital signal processing and new technology introductions. Prior to EDGEhome, Bill was Mobile Devices Chief Technology Officer at Motorola where he is a member of Motorola’s Science Advisory Board. Interested and qualified parties will be expected to sign a nondisclosure agreement (attached hereto as Exhibit A) to have access to key members of the management and intellectual capital teams and the due diligence “war room” documentation (the “Due Diligence Access”). Each interested party, as a consequence of the Due Diligence Access granted to it, shall be deemed to acknowledge and represent (i) that it is bound by the bidding procedures described herein; (ii) that it has an opportunity to inspect and examine the Green Edge Assets and to review all pertinent documents and information with respect thereto; (iii) that it is not relying upon any written or oral statements, representations, or warranties of Gerbsman Partners or Green Edge, or their respective staff, agents, or attorneys; and (iv) all such documents and reports have been provided solely for the convenience of the interested party, and Green Edge and Gerbsman Partners (and their respective, staff, agents, or attorneys) do not make any representations as to the accuracy or completeness of the same. Following an initial round of due diligence, interested parties will be invited to participate with a sealed bid, for the acquisition of the Green Edge Assets. Sealed bids must be submitted so that they are actually received by Gerbsman Partners no later than Friday, July 31, 2015 at 3:00 p.m. Pacific Time (the “Bid Deadline”) at Green Edge office, located at 13348 Old Winery Road, Poway, CA 92604. Please also email steve@gerbsmanpartners.comwith any bid. Any person or other entity making a bid must be prepared to provide independent confirmation that they possess the financial resources to complete the purchase where applicable. All bids must be accompanied by a refundable deposit check in the amount of $250,000 (the refundable deposit will be held in Green Edge’s legal counsel trust account.). The winning bidder will be notified within 3 business days of the Bid Deadline. Unsuccessful bidders will have their deposits returned to them within 3 business days of notification that they are an unsuccessful bidder. Green Edge reserves the right to, in its sole discretion, accept or reject any bid, or withdraw any or all of the assets from sale. Interested parties should understand that it is expected that the highest and best bid submitted will be chosen as the winning bidder and bidders may not have the opportunity to improve their bids after submission. Green Edge will require the successful bidder to close within a 7 day period. Any or all of the assets of Green Edge will be sold on an “as is, where is” basis, with no representation or warranties whatsoever.